This resort is truly something else. The Hyatt Ziva resorts are all gorgeous, but the Hyatt Ziva Cancun goes above and beyond, catering to every vacation dream. Don’t want to wear a wristband? 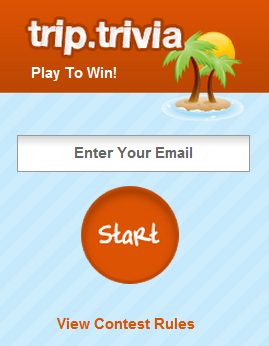 Ok, don’t have to. Want pool service? Done. Hungry in the middle of the day but don’t want to leave your perfect beach spot? There’s a mobile food cart for that. The Hyatt Ziva resorts have your every move and every dream perfectly planned out – your wishes are answered before you even arrive. 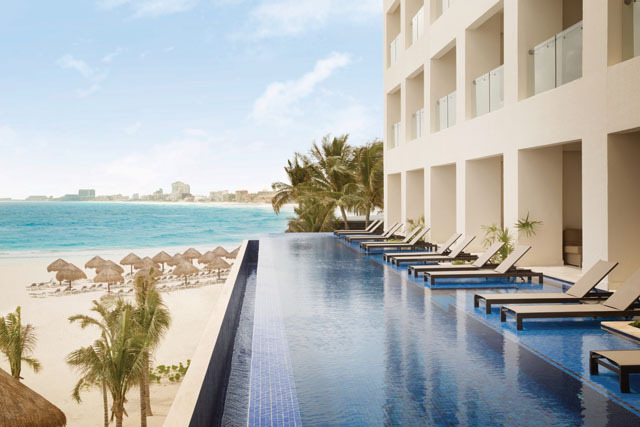 The Hyatt Ziva Cancun is the perfect combination of luxury and casual elegance, without being pretentious. The resort is the perfect size, with everything an easy walk to access. 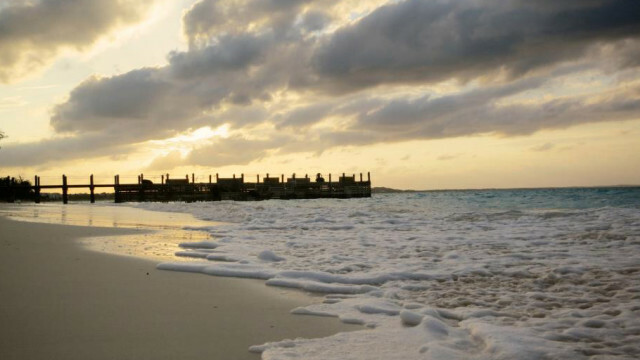 The resort sits on the tip of the Cancun hotel zone’s peninsula, so you have 3 distinct sides of the resort to enjoy: a calm, white sandy beach perfect for trying stand up paddle boarding, long rock formations, perfect to sit and listen to waves crash, and the iconic waves of the Cancun beach; perfect to jump and play in. 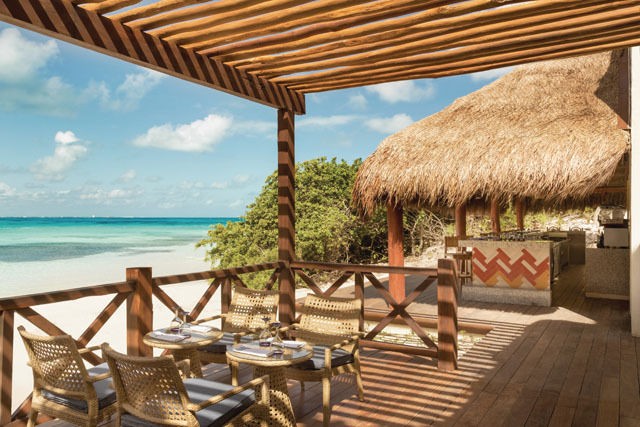 This Cancun vacation hot-spot is the best of all worlds. And possibly the best part? With 3 areas of the resort and beach to choose from, it never feels crowded. Waking up in paradise is really a thing – the Hyatt Ziva Cancun has 547 luxury suites with contemporary Caribbean décor and picturesque views of the Caribbean. Every room has a spa-like bathroom with rainfall showers, turndown service, and complimentary refreshment centers. Guests are truly spoiled here: you can’t find a spot to look that doesn’t have a breathtaking view. Trust me, I tried! Choose from swim-up suites, or one-bedroom suites, a club tower with private lounge access and complimentary appetizers, or stick with something simple and a standard room. 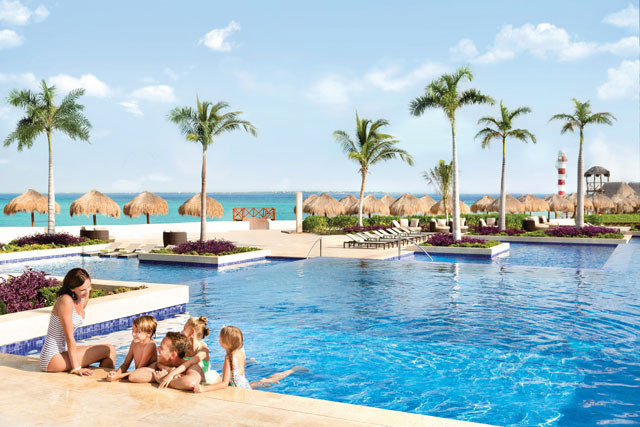 The Hyatt Ziva Cancun also has an adults-only tower and section: Turquoize at Hyatt Ziva Cancun. Opt to stay here for a beachfront stay with swim-up infinity pools, balconies with private hot tubs, and a quieter stay without little ones. Seriously, what more could you ask for? The luxury doesn’t stop. With 16 restaurants, lounges, and bars with an internationally trained chef, options range from French to Asian, Italian, and American fare. Choose to dine at an adults-only restaurant, enjoy a rooftop bar, indulge at the dessert parlor or try your hand at brewing your own beer at Tres Cerveza’s bar. The culinary scene during your Mexico vacation caters to everyone. There are plenty of restaurant options, and chef-inspired dining with 24/7 room service. 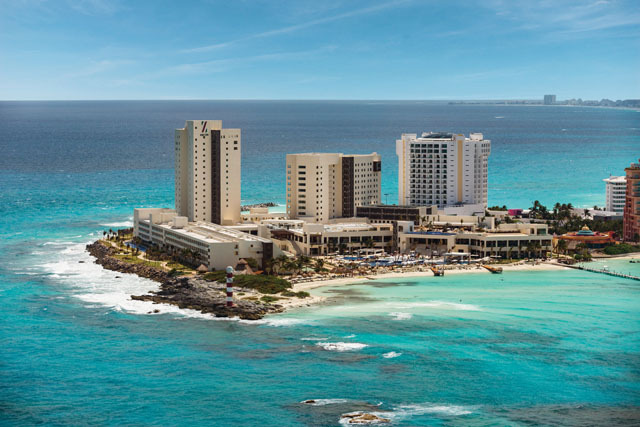 The Hyatt Ziva Cancun boasts the evolution of all-inclusive luxury, evident from their range in culinary options, microbrewery, and other amenities. I told you it was amazing! The entertainment crew at this Hyatt Ziva resort are out of this world! Their nightly shows could give Cirque du Soleil a run for their money! The Hyatt Ziva Cancun has some of the friendliest staff I’ve ever encountered – with their “service from the heart” mantra. 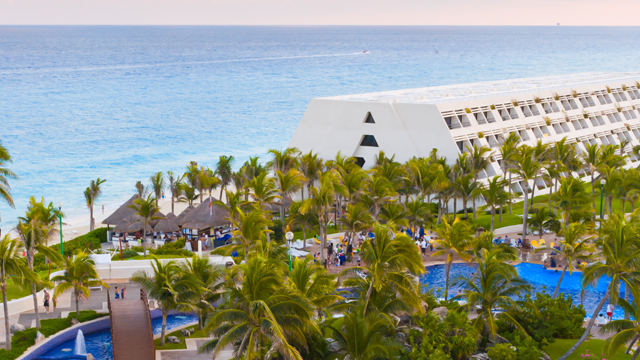 The Hyatt Ziva Cancun has an arrive and relax motto for your Mexico vacation. There is as much or as little to do here as you decide…three infinity pools await, while other options include snorkeling and scuba diving, beach volleyball, a rooftop tennis court, kid’s water play area, wellness spa, and more. Excursions are of course a possibility, a tequila bar full of samples awaits, and countless watersports. 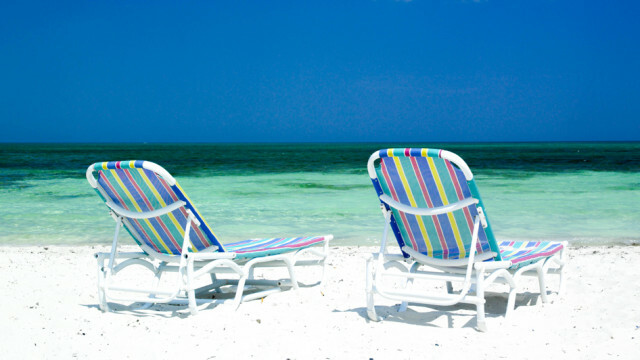 The resort also has plenty of meeting, event, and reception place and can host weddings and honeymoons. The Zen Spa, a familiar spa atmosphere to all Hyatt Ziva resorts, will allow you to dive into pure relaxation and unwind. You’ll for sure be planning a return trip after an afternoon here. If you’re looking for a special retreat that makes you never want to leave…you will find it here, at the Hyatt Ziva Cancun.